The problem of solid waste in Delhi is "very critical" and the cooperation of citizens was needed to deal with it, says Supreme Court. A bench headed by Justice Madan B Lokur said this committee should go "in-depth" into all aspects relating to management of solid waste, including cleaning up of landfill sites at Ghazipur, Okhla and Bhalswa, as the situation in Delhi was "very critical". 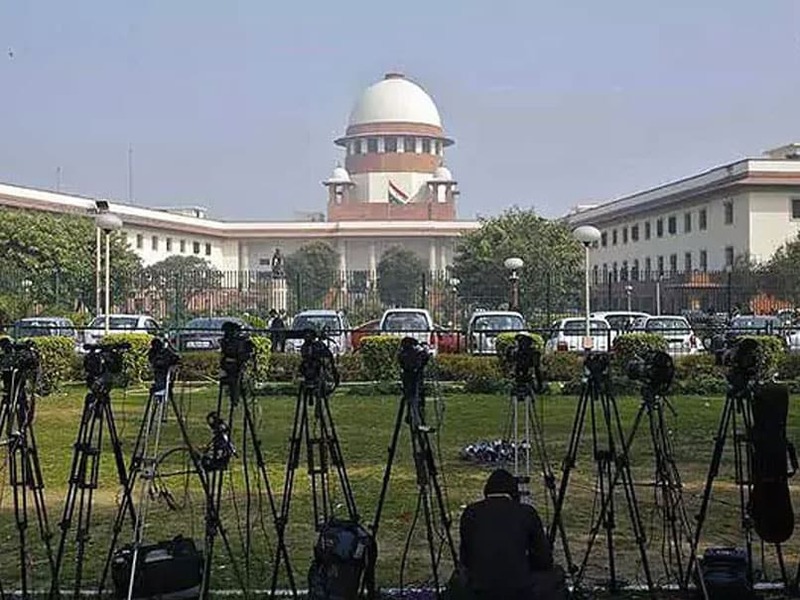 The bench, which also comprised Justices S Abdul Nazeer and Deepak Gupta, said the panel should consist of experts, members of civil societies and resident welfare associations (RWAs). "We request the LG of Delhi to constitute a committee to go in-depth into all the aspects of solid waste management, including the clean-up of dump sites at Okhla, Ghazipur and Bhalswa," the court said. The court observed that as the issue was of considerable importance, the authorities should "not rush into taking a decision", but analyse all aspects so that the problem of solid waste management in Delhi is taken care of to the satisfaction of all, particularly the residents. "We expect that the decision will be collaborative," the bench observed. Additional Solicitor General (ASG) Pinky Anand, appearing for the office of LG, told the bench that she would discuss the matter with the LG and come back to the court within a week. The bench also asked senior advocate Colin Gonsalves, who is assisting the court as an amicus curiae, to suggest five names of persons from civil society and experts who could participate in the committee as members. At the outset, Mr Gonsalves referred to the affidavits filed by the civic agencies and said it has been said that RWAs were not accepting the proposal on segregation of waste. He said that about a year ago, the RWAs had written to the LG on how segregation of waste could be done. The counsel for South Delhi Municipal Corporation (SDMC) said they have filed an affidavit and if the amicus has to say something on it, he should file a reply. The bench said the East Delhi Municipal Corporation (EDMC) has filed an affidavit in which they have spoken about funds, while the SDMC has said in some areas, they already have started segregating the waste. "The fact of the matter is that it is a very serious problem. It will not only affect Delhi but other cities also," the bench said. "Let the LG himself constitute an experts committee," it said, adding, "This requires assistance from people of Delhi". "You need cooperation of people of Delhi. The people of Delhi have to realise that it is a huge problem. Let the LG take a call. Let him not take a hurried decision. Let him set up a committee and examine everything thoroughly. Ad-hoc steps may or may not work," the bench said. When the amicus said he was "not at all confident" about it and the apex court should constitute the committee, the bench said "we cannot do it. LG will constitute a committee". The bench posted the matter for hearing on August 27. At the fag end of hearing, when the ASG said that adding members in the committee may not work all the time, the bench said, "you need to have assistance of everyone". "We are not suggesting that you have a committee of 100 people," the bench said, adding "Let the entire thing be looked at by the committee from the point of view of the residents of Delhi". The top court had earlier said that Delhi was facing an "emergency situation" due to the mountains of garbage. The issue of waste management had cropped up when the court was dealing with a tragic matter of 2015 in which it had taken cognisance of the death of a seven-year-old boy due to dengue. The victim had been allegedly denied treatment by five private hospitals in New Delhi and his distraught parents had subsequently committed suicide.